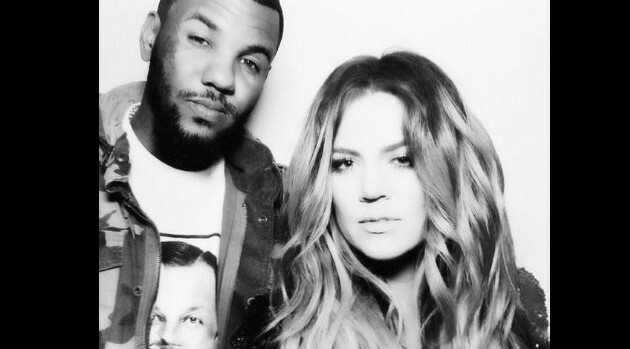 Image Courtesy Khloe Kardashian via InstagramGame has relentlessly denied ever being romantically involved with Khloe Kardashian, despite their frequent club appearances and recent Instagram photo shoot. Turns out, the rapper has dated her sister, Kim Kardashian. In an interview with BBC Radio1, Game denied the rumors of a relationship with Khole but briefly recalled his history with Kim. When asked if he dated Kimmy before her relationship with Ray J, the rapper claimed he couldn’t remember. He dodged further questions by bringing up his on-again, off-again fiancée Tiffney Cambridge. “I got a family at home man, I’ll bring my kid’s mom and let her talk to you about it,” he said.